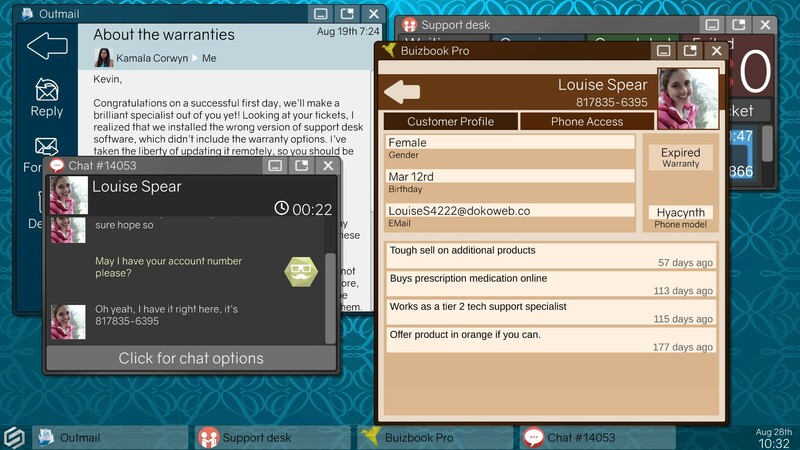 In this game you are a newcomer to Quasar Telecommunications, hired as an IT specialist and trained in the "Spectrum system", which connects you directly to customers and therefore allows you to work from home. You soon discover, however that your new job "is not at all what it seems." Spectrum grants you access to "a wide array of computer software to solve customer issues or choose to manipulate programs for personal gain." Moreover, when an "anonymous rogue hacktivist group" attempts to bring the company down, you have even more choices to make. 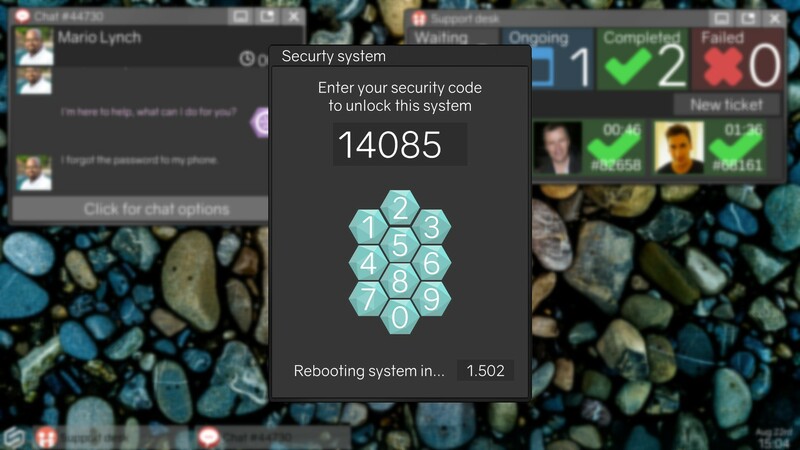 Will you "climb the corporate ladder, secretly join the hacktivists, or help the police expose them?" Described as "an adventure game with simulation and puzzle mechanics," the mouse-controlled Tech Support is presented in the form of a virtual computer. From here you will "engage customers and colleagues through a novel procedural dialogue system," but you decide how to process the help requests that arise. You could "hack your system to unlock its full potential, GPS track lost phones, scan profiles to blackmail customers, or simply propose they reboot." This "sandbox computer environment" can be tailored to your preferred approach for a different gameplay experience each time, leading to "multiple major and minor endings." 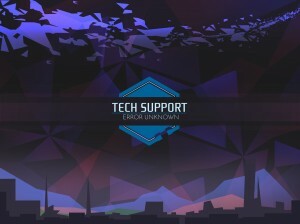 Naturally for a game called Tech Support, you'll need to wait on hold for a bit before it arrives, but not for long, as the game is expected to launch on Steam on February 27th. In the meantime, you can get an eartly taste of what's to come by checking out the playable demo that's available now for Windows, Mac and Linux.